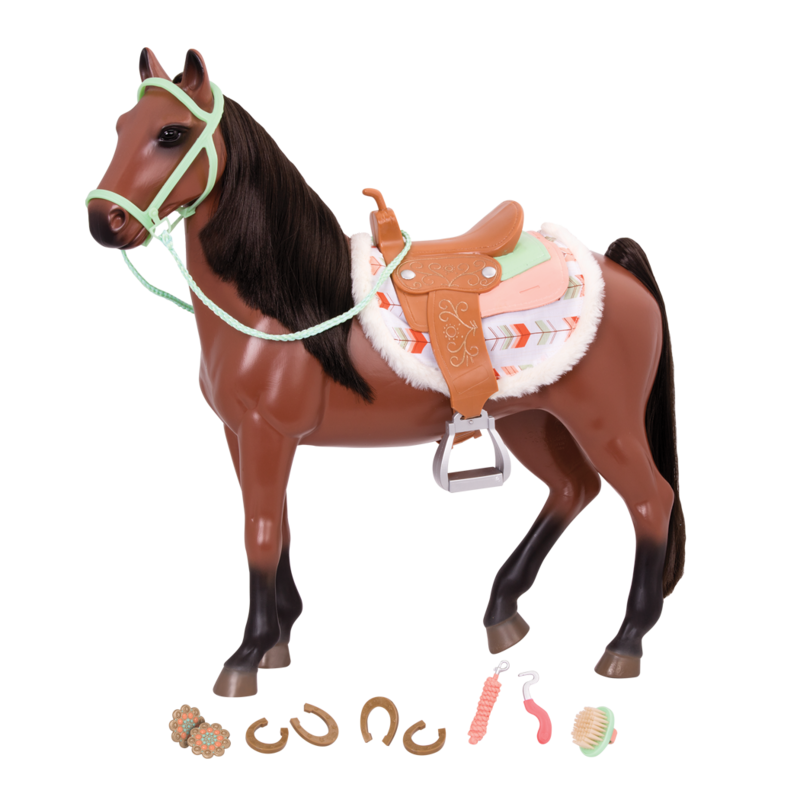 Helping others is sweet with this 18-inch dairy farmer doll! What makes life sweet? 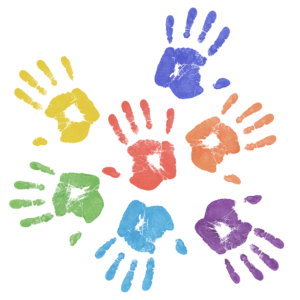 Lots of caring, always sharing, and a little treat! 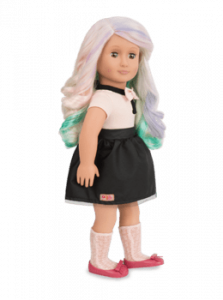 Life is sweet and helping others is even sweeter with Our Generation Deluxe 18-inch Doll – Lorelei, a beautiful posable doll with green eyes and long blonde hair with bangs. Because there has never been a generation like ours. We’re baking cup cakes to help animal shelters, making care packages for soldiers who are far from home, and even setting up recycling bins around our neighborhoods. All that and we still find time for taking cake decorating classes with our best friends, drawing up big dreams in our sketchbooks, and even helping out local farmers with our big ideas. This is our time. This is our story. Ice Cream Accessories for 18-inch Dolls! 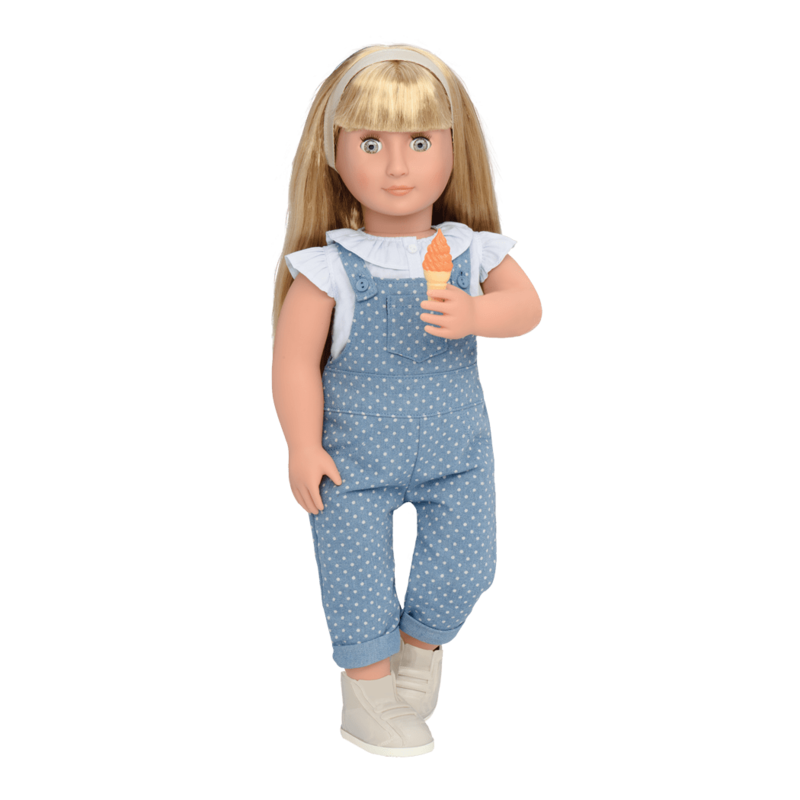 Lorelei wears a sweet, short-sleeved shirt with ruffled trim, polka dot denim overalls, sneakers, and a headband. She also comes with all kinds of realistic ice-cream shop accessories! 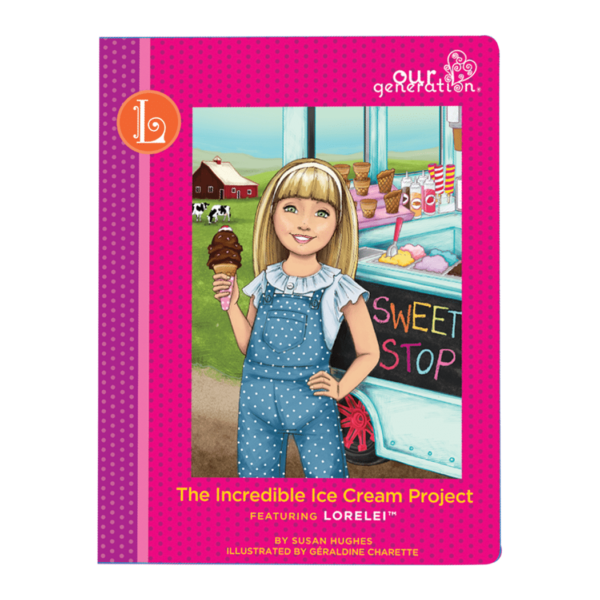 Read about her adventures with the Sweet Stop Ice Cream Truck, helping local farmers, and transforming her community in the storybook “The Incredible Ice Cream Project” and create your own stories with this inspiring collection. 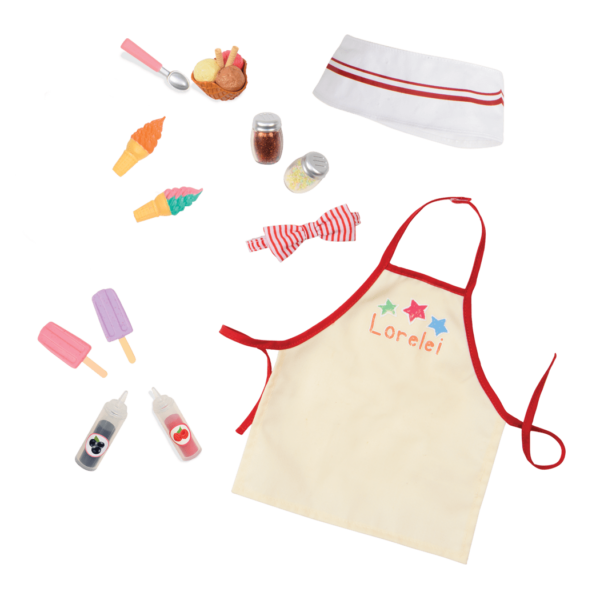 This deluxe set comes with a complete outfit, fun ice cream accessories, and a Lorelei chapter book. 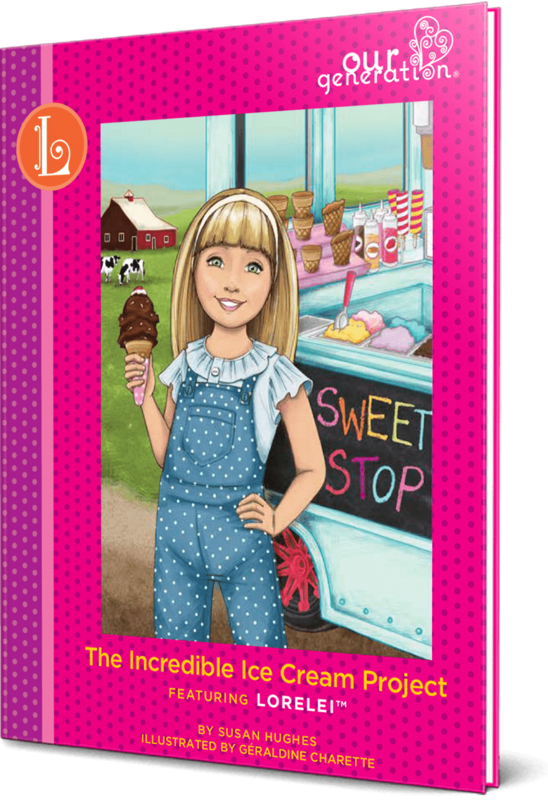 You can help Lorelei sell her local-dairy ice cream with the Sweet Stop Ice Cream Truck, an ice cream delivery truck just like the one in Lorelei’s story! 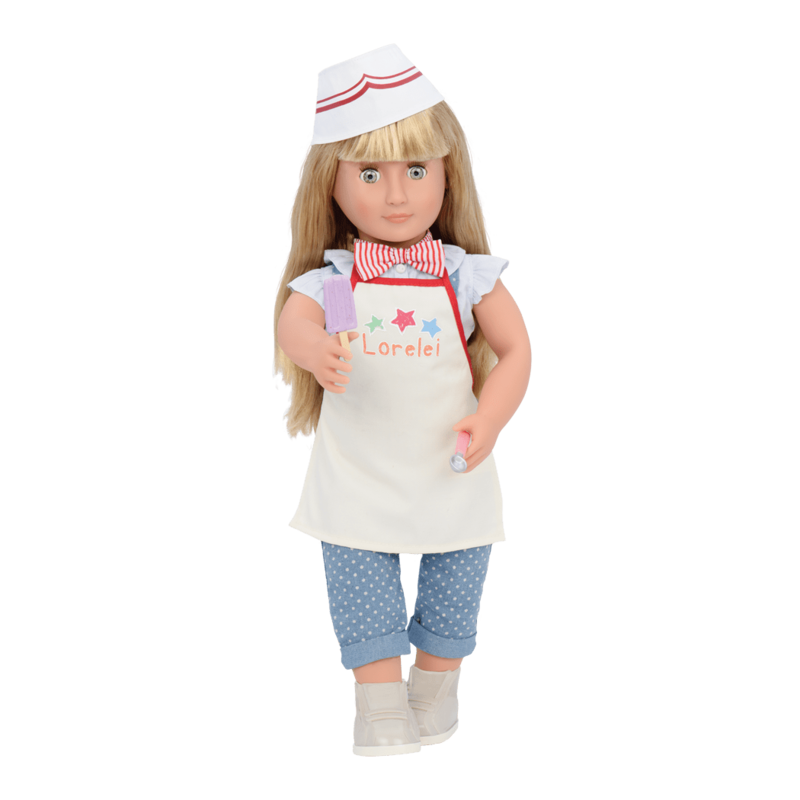 Lorelei already comes with a super-cool ice cream truck uniform, but you can change her look any time! 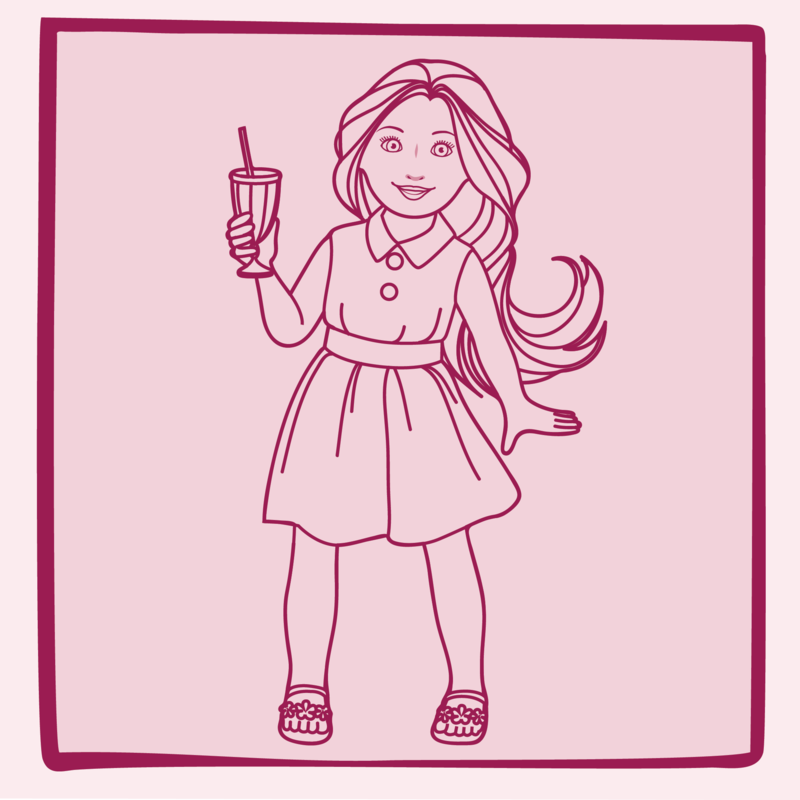 Why not dress her up in the Soda Pop Sweetheart outfit, a vintage waitress uniform that comes with roller skates?! She would probably have a lot of fun skating around to deliver her orders of ice cream! 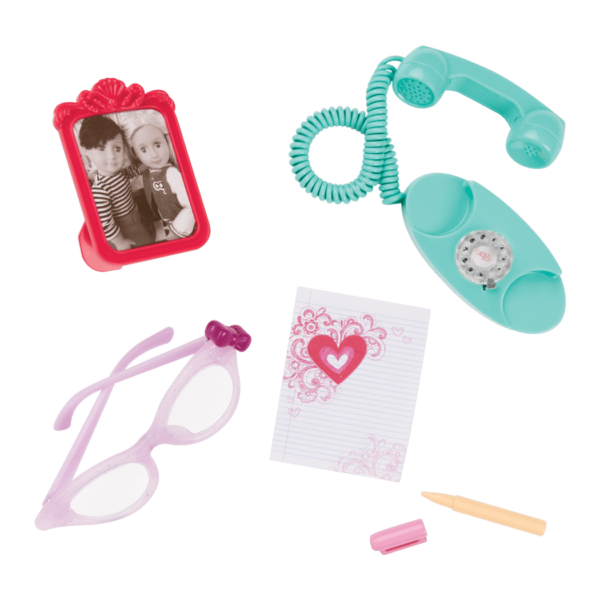 And since Lorelei loves to sketch and draw, the Art Class Supplies accessory set is full of great creative tools ]tools for your dolls! 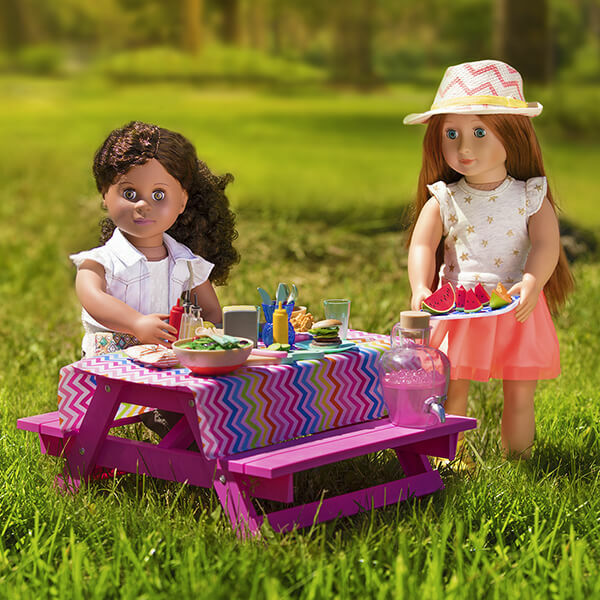 Recreate Lorelei's adventures with this inspiring set! 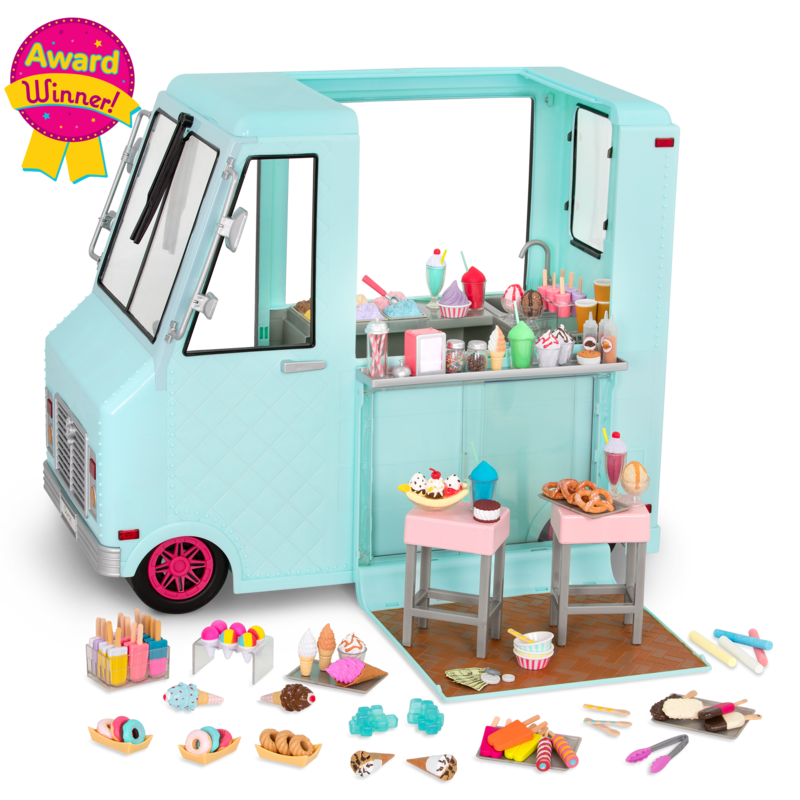 Includes complete outfit and fun ice cream accessories; 20 items total. 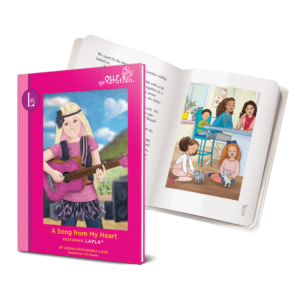 Follow Lorelei's story in the chapter book! 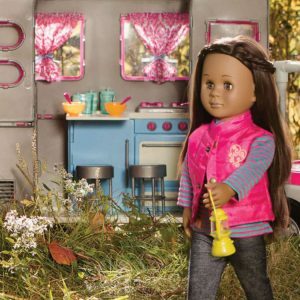 Lorelei arrives with her hair in two ponytails, but you can style her hair in a lot of different ways! When you first undo Lorelei's ponytails, her hair might be a little kinked from staying in one style for so long as she made her journey to you. Next, use the wire brush and very gently but firmly brush Lorelei's hair, starting at the ends and working your way up. Let her hair air-dry, and repeat this process until her hair is as straight as you like it! I’m getting this soon, but second hand I am going to call her Emma, her name ( Lorelei ) is hard to say, I’m sorry to say, but I think I’m going to LOVE her!!! She’s sooooo cute! I love dolls,particularly OG.I recommend them. We got this doll for a really good deal after Thanksgiving. 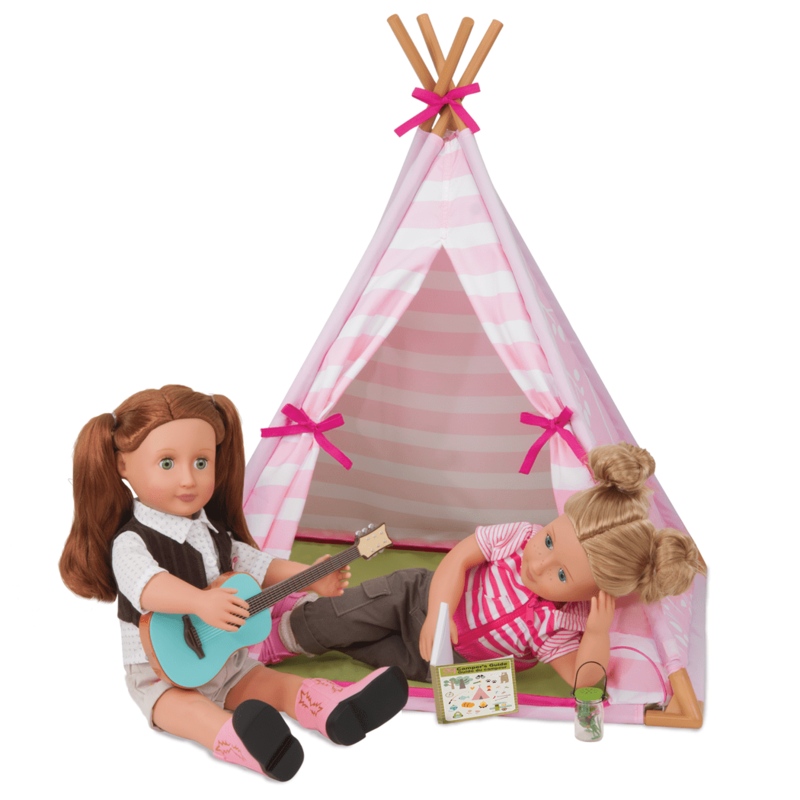 The quality is wonderful, especially for people like us who simply cannot afford real American Girl dolls. The Our Generation brand is a lifesaver, thank you, Target! 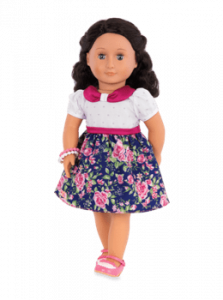 This ice cream doll so sweet with several fun items that come with her. The price was listed around $22 so I didn’t expect a lot. However when she arrived and we opened the accessories I was delighted. 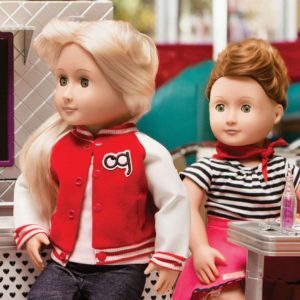 I bought a few of these dolls for my granddaughters to play with. 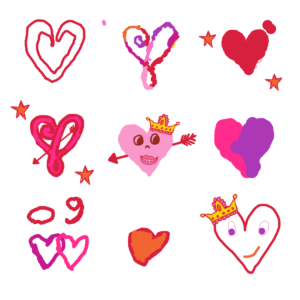 However, once I receive them I realized that they are going to be better cared for by my oldest granddaughter. 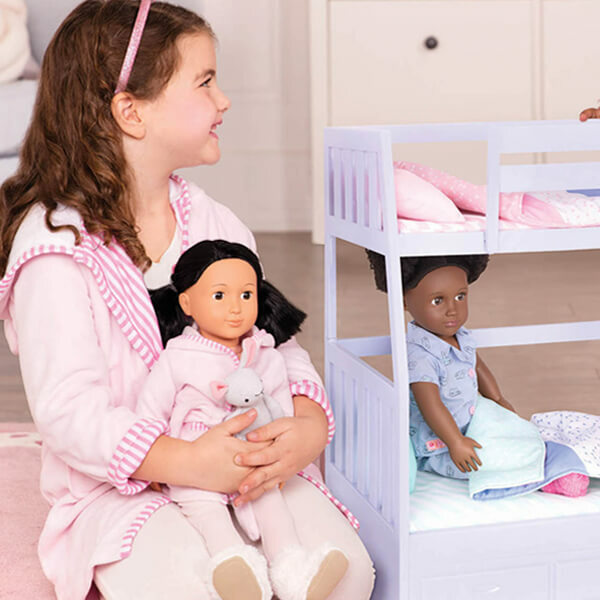 Rather than advertise that these dolls are for three and up, I would say responsible six years and up girls will have a wonderful time playing with these sweet dolls. She can bend her elbows and knees. Her hair is full and beautiful to style. 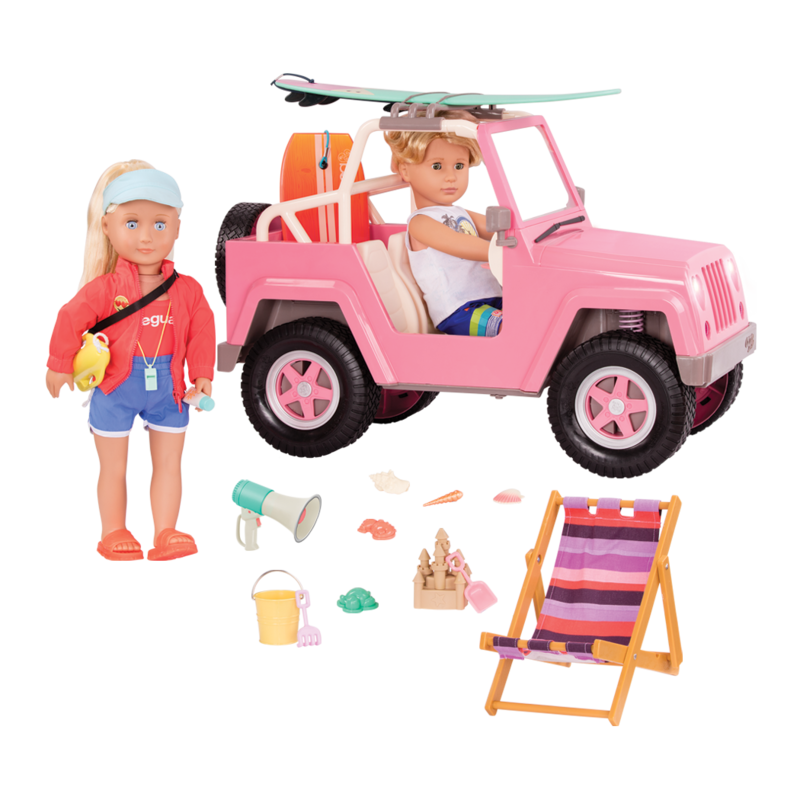 She comes with items for the ice cream truck and her story is delightful. Highly recommend this doll. 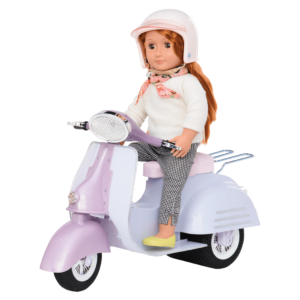 Purchased doll for my granddaughter. …..good value, we’ll made….will make a great Christmas present under the tree. Nice Doll. Great quality. The plus was the book. Great for Girls that love to read. Prompt store pick up at a great price. 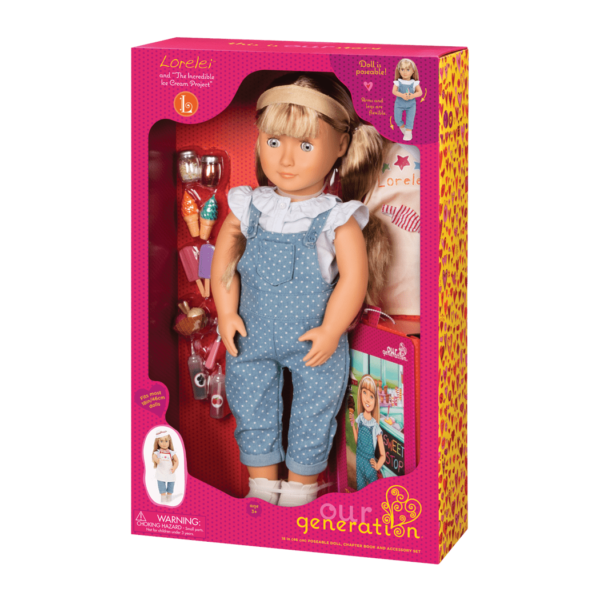 I would definitely purchase the Our Generation Dolls again. My daughter absolutely loves her!!! Love the Our Generation line. My daughter plays with the doll and ice cream truck a lot! Doll is perfect addition to the truck. 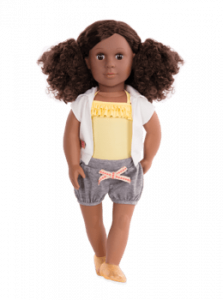 I bought this doll to replace a similar doll that I bought from a catalog because the doll’s hair was horrible and her arms came loose. 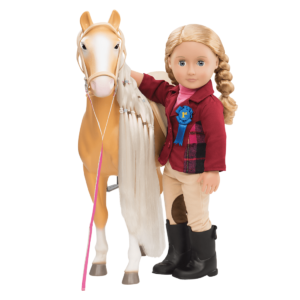 So I wanted blonde doll with good hair, and arms and legs that could bend since the old doll had stiff arms and legs and could not sit on the horse and furniture that my 6 yr old granddaughter got for Christmas. She and I both love this doll. 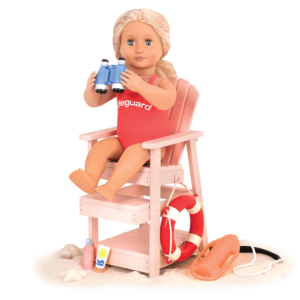 Her hair is easy to comb and style, she is not stiff, and her arms and legs move easily at the hip and shoulder joints. However, the knees and elbows are hard to do, and the knees look really funny when bent far. 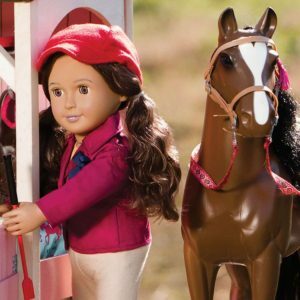 Other dolls I’ve seen have cuter faces but we are very happy that this one can sit on the horse and can bend, and my granddaughter loves to braid her hair and style it. She feels sturdy and well made. No need to pay more for this type of doll from a different manufacturer. Bought this doll for my grand daughter for her birthday and she absolutely loves it. Would recommend it to anyone. Bought my niece the Ice Cream Truck for Christmas along with 4 dolls that were about $20. I was surprised that none of their knees bent, so I couldn’t get any of them behind the wheel. I had to buy her this doll that was $35 to solve my problem. I don’t see much difference in the dolls besides the $15 difference. I don’t think being able to pose the dolls is worth that much extra money, but when a kid is upset that she can’t use her toys correctly, you have no choice.